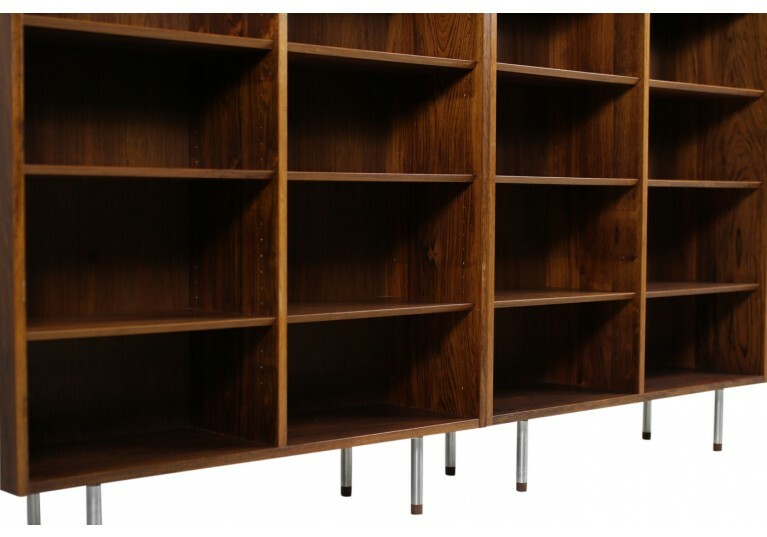 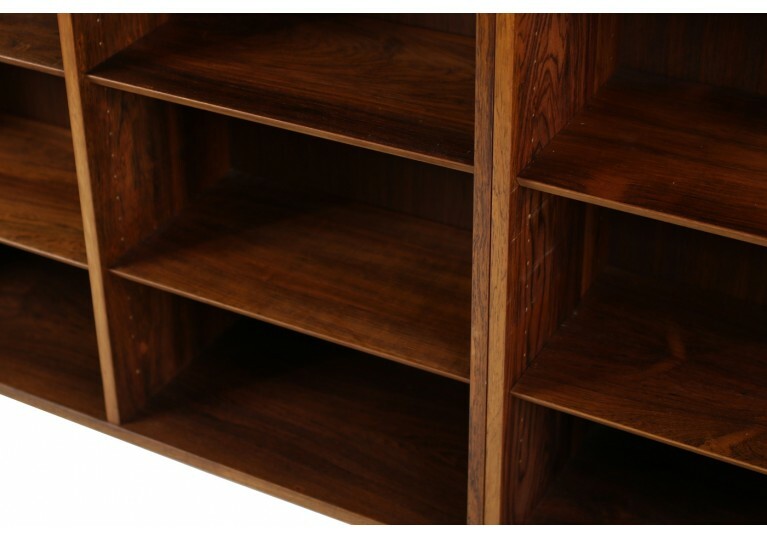 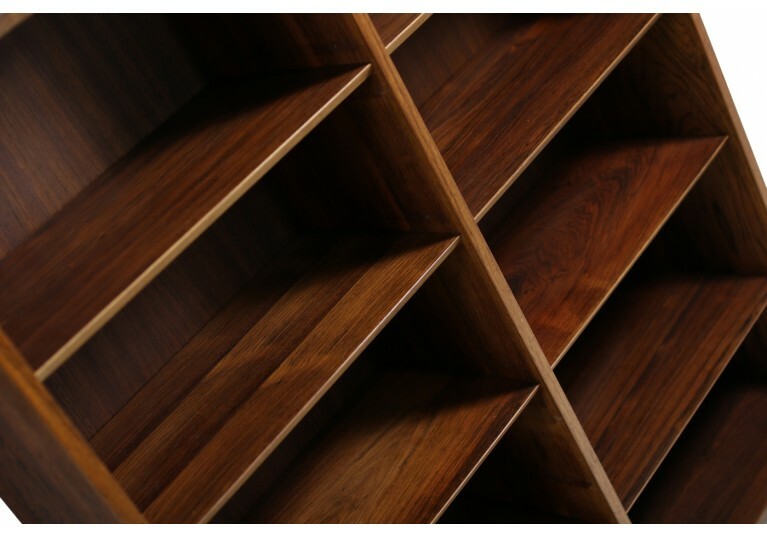 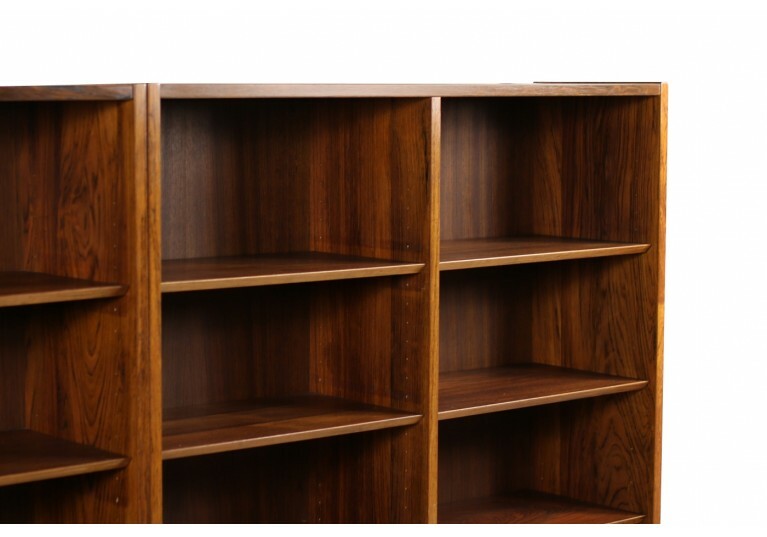 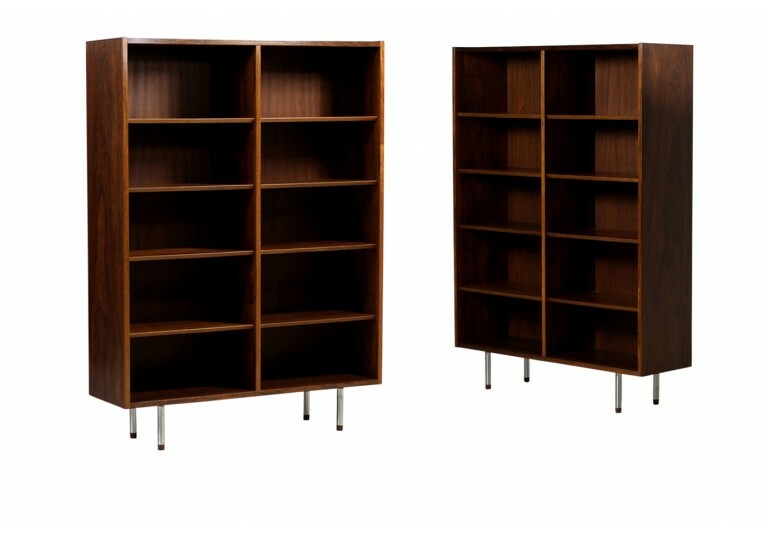 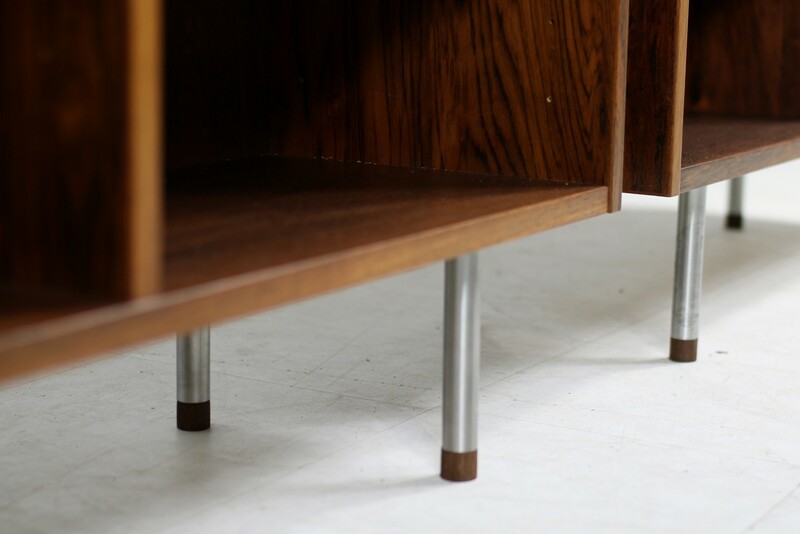 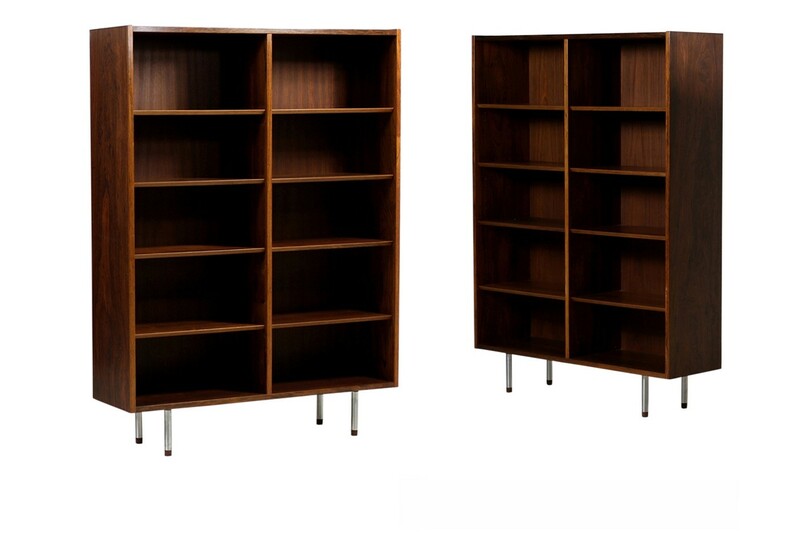 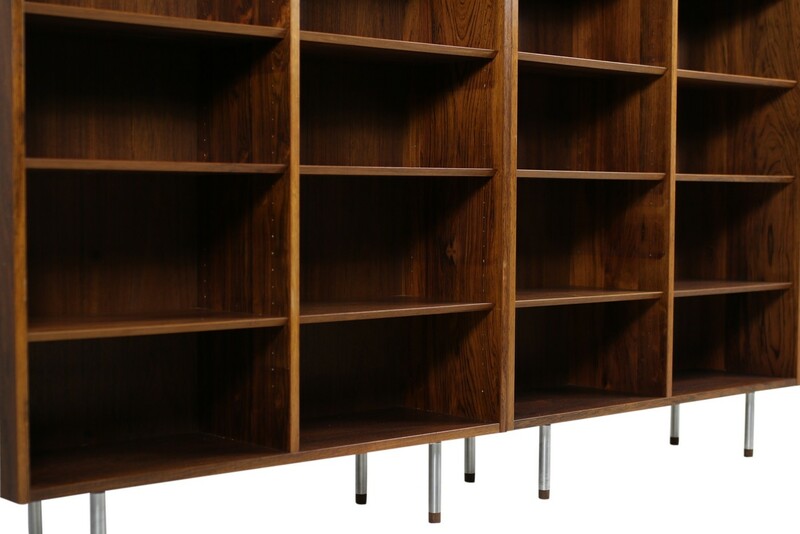 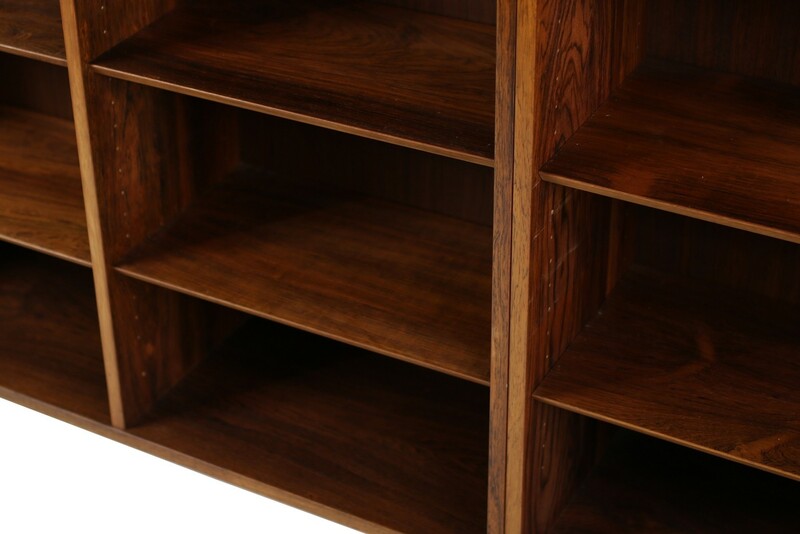 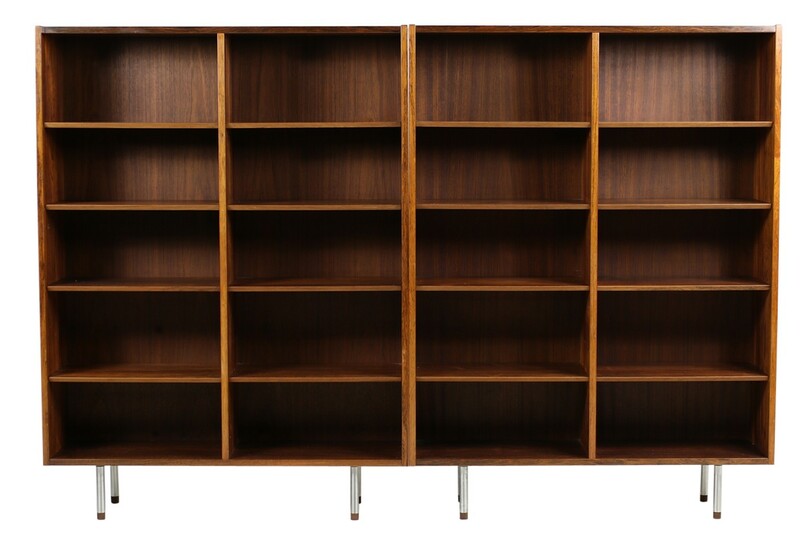 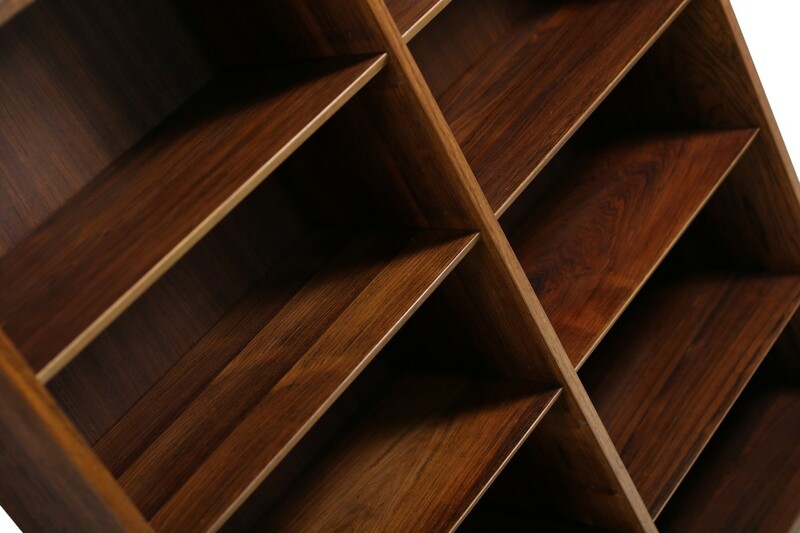 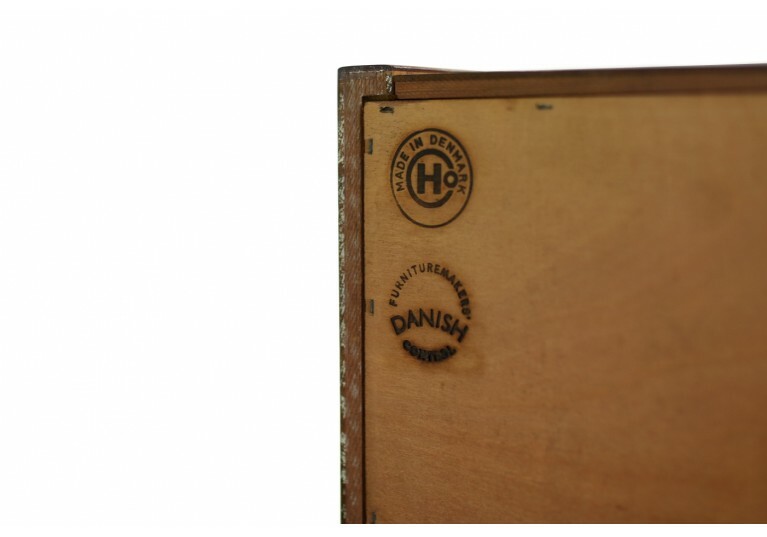 Beautiful pair of 1960s Danish Modern bookcases by Poul Hundevad, Made in Denmark. Very good condition, no holes in the back wall, adjustable shelves, overall 16 adjustable shelves and 2 units, fantastic patina and great condition. Here the higher version, metal legs with wooden end pieces. 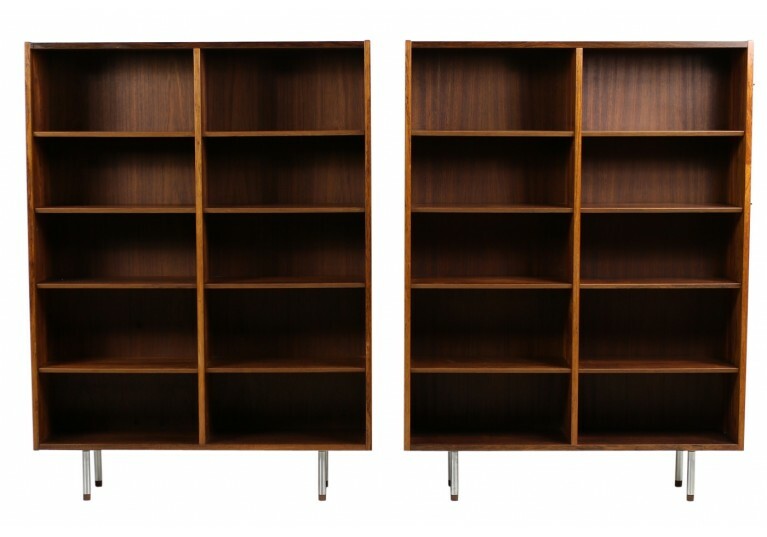 Each unit is ca. 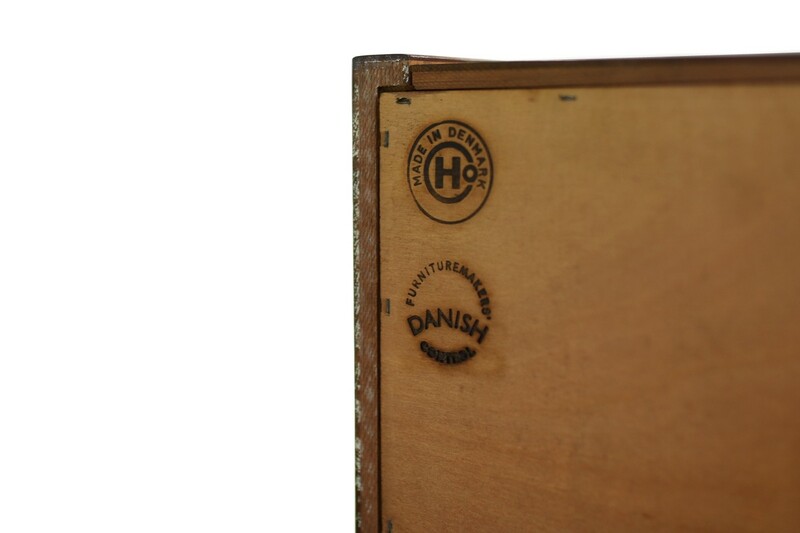 H x W x D: 146 x 108 x 31 cm so side by side 146 x 216 x 31cm.